As the summer comes to a close, I’m pleased to be ending my summer-inspired embroideries on a high note. 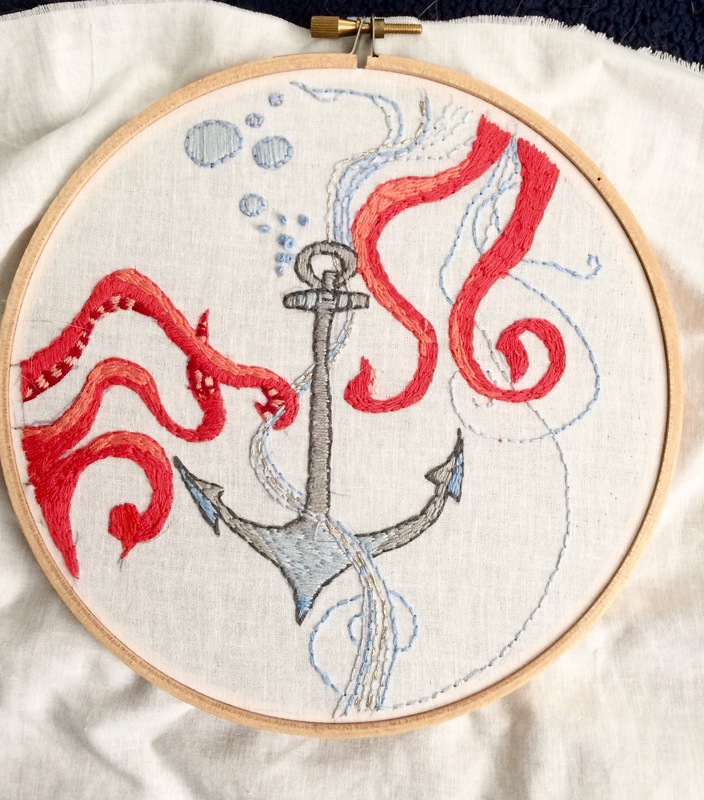 Looking to create unique and naturally whimsical pieces, I came across the idea of incorporating an anchor into one of my embroideries, a visual element that is timeless and as of late, quite popular. With mysterious tentacles closing in from both directions, I hoped for this piece to be colorful and fun. After completing the initial sketch, I spent the next five weeks filling in the space with colors, enjoying the contrast between the anchor and its thieves. Aside from the stark color difference found between the blues and reds, there is also a strong contrast between the organic nature of the tentacles and the solid foundation of the piece, the anchor. I’m a strong believer in contrast and find it worth experimenting with multiple contrasting elements in a single piece. While the summer may be coming to a close, I know that my embroidery production is not. I look forward to fall inspiration and adding to this “Naturally Whimsical” series!